Apple will soon launch the tablet in India at Rs. 28000 for the 32GB with Wi-Fi model and Rs. 38600 for the 32GB Wi-Fi + Cellular model. Apple has announced the launch of a new iPad which is meant for students and teachers. The Mobile Indian had reported about Apple's plan few days back. The new iPad comes in silver, gold and space gray colours. There are WiFi and WiFi+Cellular models of the iPad, both of which come in 32 GB and 128 GB models. Both the models have same dimension: 9.4 inches tall, 6.6 inches wide and 0.29 inch thick. However, the WiFi+Cellular model is just a bit heavy weighing 478 grams compared to 469 grams weight of the WiFi model. 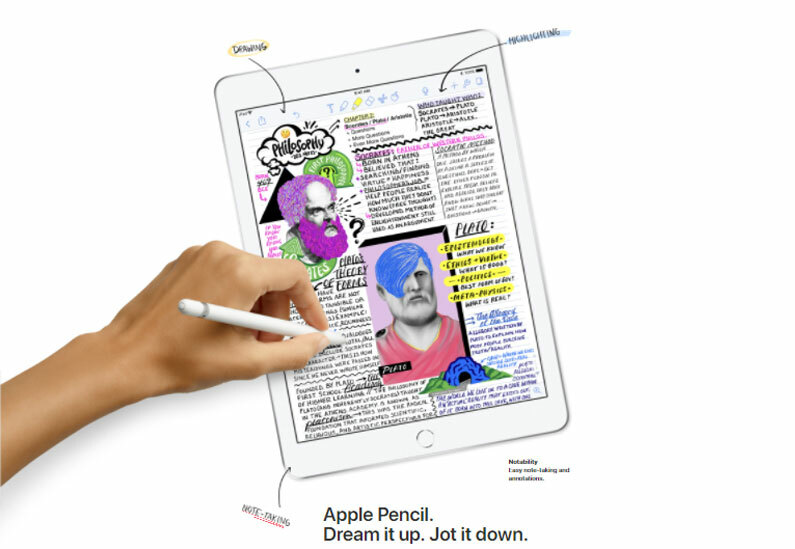 The new Apple iPad has the iconic home button, volume rockers on the right hand top side, a power button at the top panel, a 3.5 mm jack in the left side of the top panel, and built in speakers in the bottom panel. It comes with lightning connector and in the cellular model, there is a SIM tray too. The iPad comes packed with the lightning cable and a USB power adapter. This Apple iPad has a 9.7 inch LED-backlit display which is made with IPS technology and offers multi-touch support. The display said to have fingerprint-resistant Oleophobic coating and resolution of 2048x1536 pixels. It supports Apple Pencil too. The 64-bit A10 Fusion chip has been fitted in this tablet and it comes with M10 coprocessor. 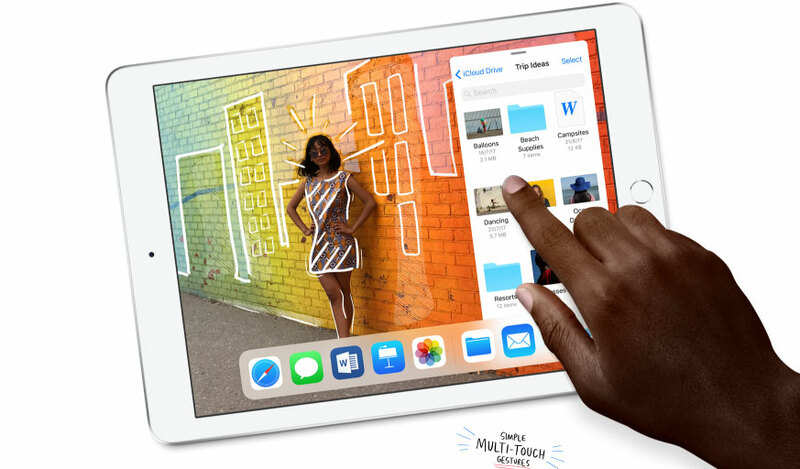 The 9.7 inch iPad has an 8 megapixel rear autofocus camera that can record full HD videos, 120 fps slow motion videos, time-lapse videos with stablisation, and has 3x video zoom feature. Besides, the rear camera offers geotagging, body and face detection, live photos, panorama, HDR, burst mode etc. The 8 MP camera has f/2.4 aperture and five element lens. For selfies and video calling, there is a 1.2 megapixel front camera that has f/2.2 aperture and it offers HD video recording feature, burst mode, timer, etc. Besides, the new Apple iPad offers fingerprint sensor and Bluetooth 4.2. Ofcourse there is Siri personal assistant technology. It has a built-in 32.4 watt-hour battery that Apple claims to offer 10 hours of WiFi browsing, watching videos or music playback. Among other languages, it supports Hindi and comes with iOS 11. Apple will soon launch the tablet in India at Rs. 28000 for the 32GB with Wi-Fi model and Rs. 38600 for the 32GB Wi-Fi + Cellular model. For Apple Pencil, you have to pay Rs. 7600 extra.